Shelley Batdorf lives and writes from Minnesota, enjoying her family, friends, and the varied seasons. She blogs at Abiding One, and otherwise lives as an introverted life. Sarah Winfrey is an introvert and a writer living in Centennial, Colorado. You can find her at Blessings Like Winged Horses, or follow her on Twitter. When the word “break” sneaks into my vocabulary and my heart begins plotting some sort of escape, I know there is more going on than the usual parental tiredness. My introverted self needs some attention and care. The weekend just ended, and what was supposed to be a few days of Sabbath rest, play as a family, and the gift of an hour or two alone, turned into interruptions, changes in the plan, and the bits of life that often steal those quiet moments. When my introverted self whimpers (and sometimes screams) for attention, I frequently return to a few thoughts that have become anchor points in being an introverted parent. Both came shortly after our daughter was born, as I was sitting with my spiritual director, unpacking some of the lessons God had been teaching me the summer after her birth. The first was to listen to God in the routines of life, the places He may be teaching me through her life. Both my relationship with Him and her have grown deeper and richer, letting each affect the other. I was also encouraged, especially as an introvert, to consider parenting as a spiritual discipline. The disciplines are intentional and require sacrifice. They are tools designed to bring us into deeper relationship with God. When life closes in and I am internally drained, I am learning to talk with God first, to ask what He might be teaching me, lean into Him and consciously bring Him into that moment instead of trying to do it on my own. Because of my introversion, community and hospitality are already disciplines for me, so bringing them into parenting only makes sense. Community calls us out into the world from behind our walls, to be with others even when we would rather be alone. Hospitality invites others inside our walls, offering them the safety and comfort of our selves. These walls may be our physical homes, but are also the home of our heart. If given the chance, I would be a hermit. But we all need other people, to be in community and to take our place within the Body. For me, that is often a lot of work. Being the parent of a preschooler presents additional opportunities and challenges. By nature of her age and development, the need for additional interaction, playtime with friends, and learning about life beyond our home, getting out of the house is often a discipline for me. And in it all, I am learning my own limits, having more conversation with God, and being stretched in new ways. • Treating her to lunch, dinner, ice cream, etc. As well as giving me the chance to function in community, parenting as an introvert offers ample opportunities for me to practice hospitality. I want to invite my child in, beyond my walls. When I'm tired, when I need some space, when all I really want to do is have a moment to myself, I'm still called to welcome her. Even though she's my beloved child, there are moments when she is “other” simply because she is not me. And hospitality is nothing if not learning to welcome the other into our lives and our space, even when it is inconvenient, frustrating, difficult, and against the grain of nature. There are times when I feel saddened to see how little I welcome her and I'm challenged to love her better. Life as an introvert so often involves walking a fine line between carving out time for myself and hoarding it selfishly, and so I know there are times when I'm craving space but my call is to invite her into the safe place of my soul. On a practical level, this means putting her needs before my own during the hours when I'm her primary caregiver. It means not just looking up from my book and telling her it will be ok when she stumbles, but putting the book aside and going to her to give the comfort and solace she needs. It means taking care to set aside my own projects when she wants to show me something, and then truly watching her and celebrating with her (even if it's the 15th time I've seen the feat that day). It means being willing to put down what I'm doing when she wakes up crying, and not just furiously hoping she'll go back to sleep. Jason Boyett is a writer, popular blogger, and the author of several books, including his latest called O Me of Little Faith. In his book he takes on a daunting topic: the existence of doubt in faith. It is an incredibly honest, self-revealing look at doubt that starts with his own story and his movement from a fundamentalist background to a more intellectually rigorous version of the Christian faith. What's perhaps most impressive about Jason's book is how he manages to tackle such a heady, intimidating topic with grace and humor. It is not only insightful but also accessible. When I read in the book Jason's repeated confessions of his introversion and the role that has played in his faith and in his interaction with the church, I knew that I had to interview him. He was gracious enough to answer a few questions, and we'll start with those pertaining to his introverted tendencies. Here's a quote from your book: "I am not an emotional person. I’m an introvert. So in a Christian subculture that equates emotion with the presence of God, I shouldn’t be surprised that I “experience” God less than everyone else." I and many of my readers agree with you on this statement, that evangelicalism exalts an overt "passion" and that those of of us who don't show our emotions as openly might be considered less devout. What are some other features of contemporary evangelicalism that you think can be discouraging or marginalizing for introverts? 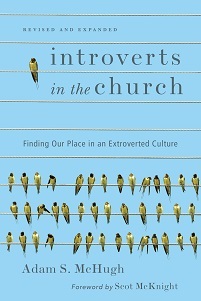 JB: Like you, I think there are hurdles throughout the church that disconnect introverts from the rest of the body of Christ. Contemporary worship is one of them, because it can seem you're not "into" it if you don't immediately respond to the worship leader's suggestions. "Everyone lift your hands in praise tonight!" Um, no thanks. "Now jump up and down with me, people of God!" Sorry, nope. It's not that I don't see the value of physical displays of worship, it's just that 1) I don't like doing something I wouldn't otherwise do just because someone tells me to (there's that thoughtfulness you write about) and 2) outward exuberance just isn't my style. The forced "passing of the peace" interaction -- or, in less liturgical circles, the time when we welcome guests and give handshakes -- is also awkward. It almost always feels fake, because if you were really glad to see me, wouldn't you have greeted me during those five minutes we sat next to each other before the service started? But I think the biggest discouragement I've felt in my church life has been the weekly invitation and its emphasis on a public profession of faith. Especially during childhood. When you wanted to "make a decision for Christ," you had to walk down the aisle of the church (while everyone else sang, for instance, "Just As I Am") and pray with the pastor, then be introduced to the church and tell them about your decision. Because I was a nervous, shy 7 year-old who had no desire to do this in front of a thousand people, I put off this decision for years, out of nothing more than extreme discomfort with the process. And I lived with a lot of guilt over it, combined with a fear of dying and going to hell before I could build up the guts to respond to the invitation. Many evangelical churches are jettisoning the public invitation these days, and I think that's a worthwhile trend. How do you think that introverts might process doubt differently from those who are more extroverted? How might this difference be harmful and how might this be helpful? JB: I think this goes back to your descriptions of introverts as possessing a thoughtful temperament and a slower, deeper interior life. My faith is not showy and external, but internal and reflective. Which is great in many ways because it can be deeper and more nuanced than a cookie-cutter kind of faith. It's a real faith and I own it, but it's also susceptible to doubt. Most of my doubt is intellectual -- not the relational doubts of "Can I trust God?" or the experiential doubts of "Where was God when...?" but the even bigger questions of logic, anthropology, literary influences and science. That's an analytical kind of doubt, and once it takes up residence in your brain, it's tough to shake. I think extroverts may process doubt more on a relational level -- "I don't feel close to God" -- and those are feelings that can resolve and seasons you can grow out of. You get better over time. But when you process God on an analytical level, feelings have nothing to do with it. You don't grow out of or away from knowledge. Once you know something you can't just ignore it or let it go, and so many of these intellectual doubts then become a constant challenge to your faith. And, being an introvert, you're not always likely to want to talk through them, so it becomes a private burden, a daily argument in your intellect. It can lead to an even deeper level of isolation from the rest of the church. What would you say to the critique I've seen recently that some Christians now seem to treat doubt and uncertainty and struggle as virtues, and certainty and assurance and confidence as faults? JB: I've heard that critique made of others and also have seen it directed at me on a number of occasions. It definitely has legs these days, but that's only because doubt and uncertainty seem to be trending in this religious climate. To me, I think the critique is one of semantics. Critics equate certainty and confidence with faith, and faith is a good thing. A virtue. So they see me seeming to embrace doubt or uncertainty and it means I'm taking a position opposite something they hold dear. But as I write in the book, faith is NOT certainty. Faith is trust despite your hesitations. It is action taken alongside doubt. To me, uncertainty is related to humility...which is still a good Christian virtue, right? I think it's humble to admit the Bible can be a messy, confusing set of documents, a lot bigger than my intellect. It's humble to say I do not have it all figured out, or to confess that my understanding is limited. For me, a personal faith marked by certainty and assurance would be an arrogant put-on. It would be a lie, and so I choose the road of humility...which means acknowledging my doubt. Now, statements like "I choose the road of humility" make me seem all spiritual and stuff. But the truth is more gut-level than that. For the intellectual reasons cited in my previous answer, I have more questions than I have confident answers. It's not for lack of trying. I have prayed for answers and certainty but have received neither. I have studied, way more than most lay people. I have struggled to find assurance and have not found it. So what now? Am I just supposed to fake it with pretend confidence? Or am I not allowed to be authentic in who I am and where I've landed in my faith? Many people will think that the way to deal with doubt is to launch an intellectual exploration of the issues they're struggling with. Yet you make some provocative statements about alternative options for what to do with doubt. While not denying the intellectual aspects, you define faith as "a commitment to acting on the things we know for sure." How might acting on the convictions we do have confidence in help us work out our doubts? JB: We've come through a season of evangelicalism where the answer to doubts took the form of rational apologetics, The Case for Christ and so forth. But these arguments-into-faith aren't effective for everyone. They can even been detrimental -- I've talked to a surprising number of believers who didn't start doubting until they read these apologetics books or websites, because until reading those books, they hadn't even been exposed to those kinds of questions. Their first introduction to errors or discrepancies in the Bible came from people trying to explain those errors away! Oops. Anyway, for some of us, an intellectual exploration of these issues isn't going to help. In fact, it'll probably make it worse. So it's a good thing that, when his followers asked "what must I do to inherit eternal life?" Jesus didn't give his followers a checklist of things to believe or doctrines that required intellectual assent. He told them to do something: follow him. Take action. Love others. Serve the poor. Doctrine is important, as it helps explain and give shape to our faith. But faith is not a checklist of beliefs. "I will show you my faith by what I do." So to answer the question, acting on the things we know for sure is a legitimate expression of faith, and that kind of faith-as-action keeps us from spiritual paralysis. We can get stuck in the doubts and become spiritually stagnant. We can avoid church and distance ourselves from Christian spirituality. Or, we can act on the things we're sure about. I may have philosophical questions about God and the existence of evil. I may be trying to figure out the place of a loving Creator in a world in which the evidence for evolution is overwhelming, and I may never reach any good conclusions on that stuff. BUT, I know how important it is to show love to people. I know the value in extending grace, in pursuing justice, in feeding the hungry. And so I do those things in the name of Jesus, and in many ways that becomes a living faith. I'm taking action -- doing what I know to be right -- even though I can't quite get rid of the intellectual uncertainty. Recently the topic of hell has flared up (you see what I did there?) among evangelicals, with two pretty strong sides emerging. Does where a person stands on that debate have something to do with what they do with doubt in their spiritual lives? JB: Well, it certainly played a role for me. I write a lot in O Me of Little Faith about how a fiery hell was a big part of my spiritual upbringing, and how as I've discovered the biblical case for hell is less cut-and-dried than I was taught, I've seen it become a significant source of doubt. Not that my faith rests on the existence of hell. It doesn't. But hell is one of those doctrines that shows a great deal of evolution from the earliest biblical documents to the latest ones, and appears to owe much of its development to outside religious like Zoroastrianism and the ancient Persian culture. Which makes it seem less divine and more human, and that's a significant doubt generator for me. If the details of doctrine could be more anthropological than divine, what other beliefs are, too? But I don't think I can necessarily parallel my experience and others, or say that a person's view of hell is some kind of signifier for how they handle doubt. What I will posit is that those who are willing at least to ask hard questions about hell may have a tendency toward deep thinking and a willingness to entertain hard questions. And if you do those things, you're going to face some intellectual doubt at some time or another. One of the most helpful aspects of your book is the way that you normalize doubt. You say that faith and doubt are not polar opposites but they coexist in everyone's spiritual life. What would you say to my readers who are currently in the throes of doubt? JB: First, I'd say don't fear the throes of doubt. You're not alone, and the apparent cracks in your spiritual foundation don't automatically mean your faith is about to crumble. Doubt is a natural state for believers because we are limited creatures trying to figure out an unlimited Creator...which means we've got a few significant hurdles in our way. If you didn't have some degree of doubt in your spiritual life, you would have no need for faith. Second, don't bury your doubt. Don't pretend it's not there, because pretension is not an ideal lifestyle for someone who, as a Christian, is supposed to be committed to truth. Third, find someone to "come out of the closet" to. Talk about your doubts. Find a friend who will listen and offer you grace -- rather than judgment and rote answers -- while you ask questions and admit uncertainty. Doubt is best experienced in community because that keeps us from bottling it up as something shameful. And finally, don't stop doing what you're doing. Attend church. Read. Worship. Serve. Pray, even if it feels like you're praying to a brick wall. Live out your faith the best you can, because faith is much more than what's happening in your mind and spirit. Thanks Jason, for these honest and thoughtful answers. I will also add that people in the midst of doubt will benefit from reading your book. It might not answer all their questions, nor is it intended to, but it will certainly help them feel less alone in their questions. A few people have lamented that I didn't include a chapter or section on introverted parenting and parenting introverts in Introverts in the Church. My reasons for this absence are twofold: 1. The book is focused on when the community of God gathers and when the community of God disperses and 2. I'm not a father and I don't know much about kids. 1. If you are an introverted parent, what are the hardest parts of parenting extroverts? 2. If you are an introverted parent, what general suggestions do you have for parenting? 3. If you are an extroverted parent, what are the hardest parts of parenting introverts? 4. How do you encourage introverted children to embrace their introversion and also develop social skills? And if anyone wants to write a guest post on this issue, please let me know. I would love to get a lively conversation going here on this subject! To read the rest of my new article on Patheos, entitled "Why Pastors Should Get Their Heads Examined," click here. Centering prayer is a form of prayer that declares there are too many words out there in the world and too many words up in our heads. We value words, and acknowledge that God has revealed himself in words, spoken and written, but we also know that God transcends words and even that all words are derivative of the Word, God himself revealed in human form in the person of Jesus. Centering prayer is a silent prayer, in which we consciously place ourselves in the presence of God, allowing conscious thoughts and word-streams to pass through our heads without lodging there. We may use an verbal anchor, a short phrase, to keep drawing us back to God but the main point is to empty our heads in order to spend time with God in wordless communication. 1. The idea of "emptying" sounds too much like other religious traditions, especially eastern traditions. Centering prayer could give the impression that we are trying emptying ourselves of our own personalities, desires, and individuality, an idea more in line with Buddhism than Christianity. 2. 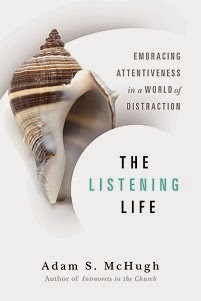 The title "centering prayer" sounds like a New Age practice. 3. We as Christians are called to fill our minds with God's words, and to actively meditate on the scriptures, rather to passively sit in silence. 1. Have you practiced centering prayer, and if so, what has been your experience? And though the "benefits" are not what we put immediately in front of us, what have the benefits been for you? 2. Do you agree with the above objections, and if so, how would you elaborate on them? 3. Or do you disagree with the above objections, and if so, how would you respond to them. Thanks everyone. I would love to hear your impressions and thoughts.